Dr. Kathrada is a dentist in Coquitlam BC who grew up in Victoria, BC, where he attended the University of Victoria, completing a Bachelors of Science in Biochemistry with Honours. During a summer research project, he discovered a protein and was able to name it after himself. Even though he enjoyed doing research, he didn’t see himself doing research full time. Dentistry seemed a natural choice, combining science, art, and primary care. After completing his Doctor of Dental Medicine degree from the University of British Columbia in 2004, Dr. Kathrada completed additional training with a General Practice hospital residency at Vancouver General Hospital, St. Paul’s Hospital and BC Children’s Hospital. He also did residency terms in Haida Gwaii, BC, and the Chris Haani Baragwanath Hospital in South Africa. He has been in full time practice since 2005. Dr. Kathrada is a member of the Canadian Dental Association, British Columbia Dental Association and the British Columbia College of Dental Surgeons. In addition to the local continuing education courses that he attends, Dr. Kathrada also attends courses at the prestigious Kois Centre for dentistry located in Seattle, Washington, allowing him to train and share practices and research with some of the best dentists in the world. 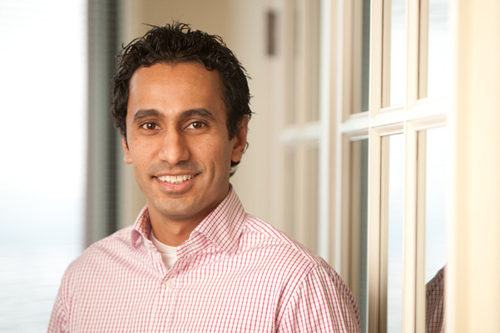 Outside of dentistry, Dr. Kathrada enjoys being outdoors, horseback riding, tennis, and traveling.